Brussel sprouts have a bad reputation, but here's a tasty way to enjoy this green veg. 2. Place the sprouts into a saucepan of simmering salted water and cook for four to five minutes, until almost, but not quite, cooked. Drain thoroughly. 3. Place the butter and oil into a wide frying pan over a medium heat, add the sprouts and sauté for two to three minutes, stirring constantly. 4. Add the cream and bring the mixture to the boil. Boil for two to four minutes, until the cream has reduced to a rich sauce. Season to taste with salt and black pepper. 5. 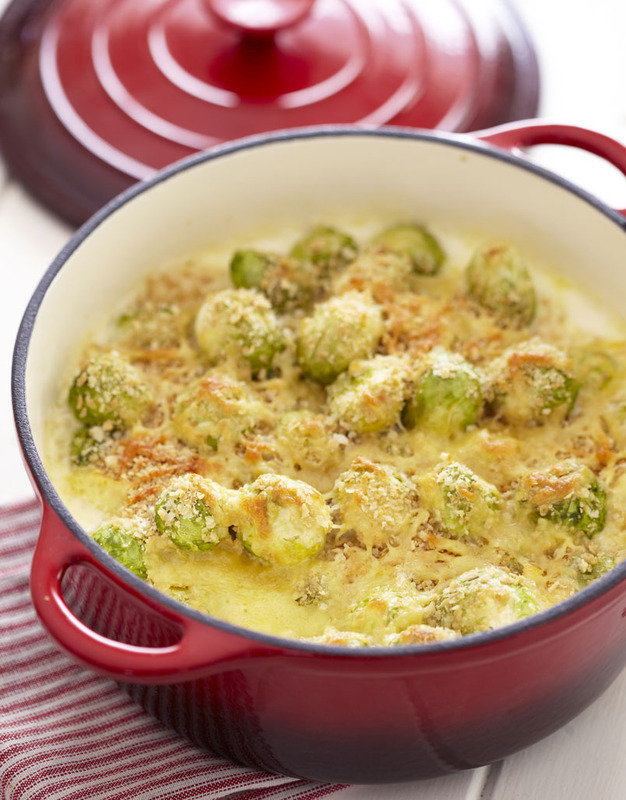 Remove from the heat; add the lemon juice and spoon into an ovenproof gratin dish. 6. Mix the breadcrumbs and parmesan cheese together in a bowl, and then sprinkle evenly over the top of the sprout mixture. 7. Place into the oven and bake for 18-20 minutes, until the top is golden-brown and the cream is visibly boiling.